What the heck is going on with Grid Engine in 2012 and beyond? If you’ve found this page and have managed to keep reading, you are probably interested in Grid Engine and what it may look like in the future. This post will attempt to summarize what is currently available. This website was thrown together very quickly in early 2011 when Oracle announced it was taking Oracle Grid Engine in a new “closed source” direction. Very soon after the announcement, the open source SGE codebase was forked by multiple groups. 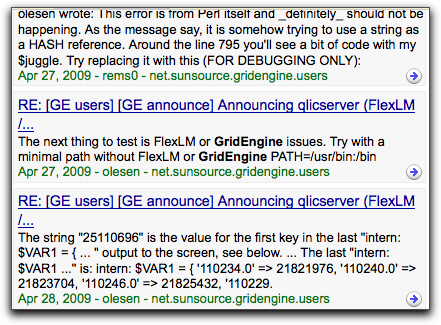 Oracle had also been hosting the popular gridengine.sunsource.net site where documentation, HowTo’s and a very active mailing list had become the default support channel for many SGE users and administrators. This website was seen as a gathering point and central public portal for the various grid engine fork efforts. It was also a natural place to host a new “users@gridengine.org” mailing list in an attempt to recreate the atmosphere found in the old “users@gridengine.sunsource.net” listserv community. The new mailing list was a success but efforts to build a “Steering Committee” that would drive some sort of coordinated effort stalled throughout most of 2011. Truth be told, we probably don’t need a central site or even a steering committee – the maintainers of the various forks all know each other and can easily trade patches, advice and collaborative efforts among themselves. It’s best simply to recast the gridengine.org site as a convenient place for information broadly of interest to all Grid Engine users, administrators and maintainers – mailing lists, news and pointers to information, software & resources. Description: Baseline code comes from the Univa public repo with additional enhancements and improvements added. The maintainer(s) have deep knowledge of SGE source and internals and are committed to the effort. Future releases may start to diverge from Univa as Univa pursues an “open core” development model. 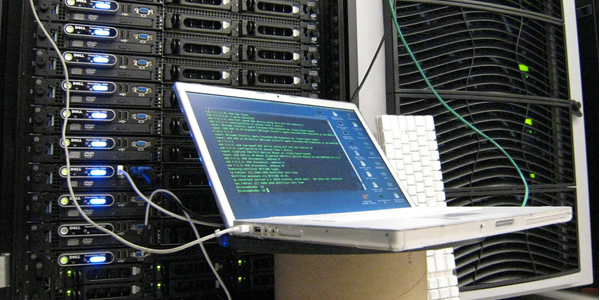 Maintainers have made efforts to make building binaries from source easier and the latest release offers RedHat Linux SRPMS and RPM files ready for download. Support: Supported via the maintainers and the users mailing list. Description: Baseline code comes from the last Oracle open source release with significant additional enhancements and improvements added. The maintainer(s) have deep knowledge of SGE source and internals and are committed to the effort. No pre-compiled “courtesy binaries” available at the SourceForge site (just source code and instructions on how to build Grid Engine locally). In November 2011 a new company ScalableLogic announced plans to offer commercial support options for users of Open Grid Scheduler. Support: Supported via the maintainers and the users mailing list. Commercial support from ScalableLogic. Description: Commercial company selling Grid Engine, support and layered products that add features and functionality. Several original SGE developers are now employed by Univa. 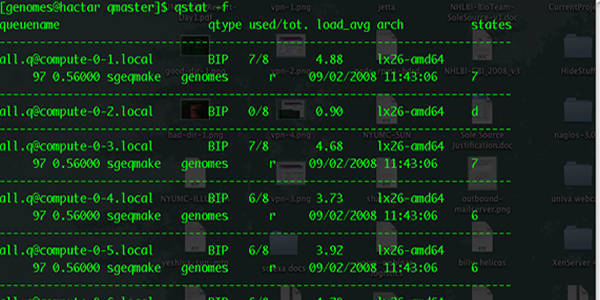 Evaluation versions and “48 cores for free” are available from the website. Support: Univa supports their own products. Description: Continuation of “Sun Grid Engine” after Oracle purchased Sun. This is the current commercial version of Oracle Grid Engine after Oracle discontinued the open source version of their product and went 100% closed-source. The “users@gridengine.org” mailing list is now online, please subscribe and help pass the word!